→Swag IQ Review – Scam Or Legit Trivia Game? 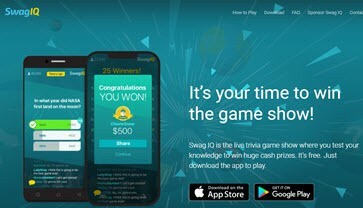 Swag IQ Review – Scam Or Legit Trivia Game? In this review, I would like to explain everything you need to know about Swag IQ and the opportunity to earn great prizes. Is Swag IQ worth your time and effort? Is it a scam or legit app? By the way, if you want to learn step by step the method that earns me $1,000/mo from my laptop, check out my #1 recommendation! Swag IQ is an application that allows you to play live trivia games from your Android or iOS device and earn excellent prizes. It’s similar to Cash Show app. The app is owned and operated by Prodege, LLC, the same company that own Swagbucks, probably the most popular reward website on this planet. Every day, you have the chance to play a live trivia game, which consists of 10 multiple questions. If you answer all 10 questions correctly, you will earn the grand prize in the form of SB, redeemable for Paypal cash and gift cards. The good news is that you will also earn reward points for each question that you answer correctly. So, not everything is lost if you don’t get all the questions right. Is Swag IQ a Scam? No, it isn’t. Swag IQ is a legit app run by the same owners of Swagbucks, a highly reputable GPT (get paid to) platform. Many people don’t understand how the company can afford to pay prizes in exchange for answering trivia questions. Well, the simple reason is that the game displays advertising for players, generating traffic (visitors) to other websites. Swag IQ simply shares a portion of the profit with the users. Fun and easy way to make money online. You can redeem for points PayPal cash. Earn SB for every correct answer. Winners end up with a small prize considering they have to split the pot. The trivia game is played live, which means you have to commit to the game at fixed times. UK residents can only play the game at 1 AM, which is inconvenient for most people. There are no trivia games on Fridays and Saturdays at the moment. The content is currently only open for residents in the United States, Canada and the UK. Some people experience a lot of glitches. Swag IQ is available for download on the Google Play or Apple Store. It’s 100% free to download and start playing the trivia games. You can sign in using your Swagbucks account if you have one, or you can create an account by providing your email and a password. Swag IQ broadcast shows on Monday through Friday and Sundays at the following times 5 PM (Pacific time) and 8 PM (Eastern Time). The game consists of 10 questions with only 3 multiple choice answers. You have 10 seconds to answer each one of them. The grand prize of $1,000+ will be split evenly for all those who answer the 10 questions correctly. Usually, hundreds of people manage to win the trivia game, which means you can end up with $5 or even less. Even though you give incorrect answers and miss the grand prize, you can continue the game and earn Swag IQ digital currencies (SB) for each correct answer. The good news is that you can rejoin the game (only once) by spending 10 SB. Alternatively, you can let your balance accumulate and redeem once you reach the minimum payout amount. 100 SB is worth $1. You can redeem your SB for PayPal cash or popular gift cards from retailers like Amazon, Steam, Marks & Spencer and more. 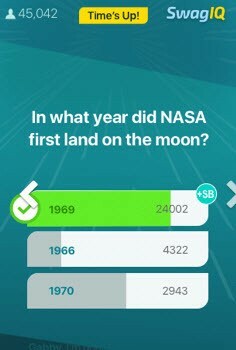 Swag IQ is a legit and fun trivia game that has been installed more than 100,000 times since 2018. 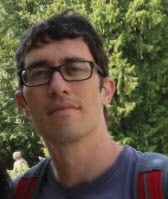 The questions are not difficult, and many users take advantage of the internet to get all answers right. Therefore, winners usually end up with a tiny amount since the $1,000 – $2,500 prize has to be split between lots of contestants. The income potential is too low as any other reward site. But if you like playing trivia games, you may want to give Swag IQ a try. The internet provides lots of opportunities for the average joe to earn a job-replacing income online. More and more people are seeing the great advantages of becoming content creators and growing a successful internet business. 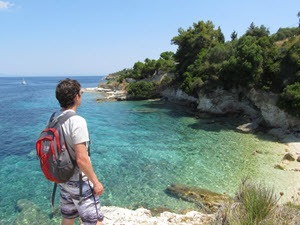 The advantages can be summed up in one word: FREEDOM. An online business allows you to live life on your own terms because you are not relying on a job to pay the bills, and you can work from your laptop whenever and wherever you want. Anyone with no previous experience can start a website and start attracting an audience. But that doesn’t mean it’s going to be easy. In the beginning, you will have to learn many new things and take consistent action to achieve your goals. If you are serious about building a profitable website, check out my No.1 Recommended Platform. The owners Kyle and Carson have developed this incredibly helpful training and community that has turned LOTS of newbies into 6 figure earners. It has a free started membership to test the waters! Thanks for checking out my Swag IQ review. If you have any questions, just let me know in the comment section below.